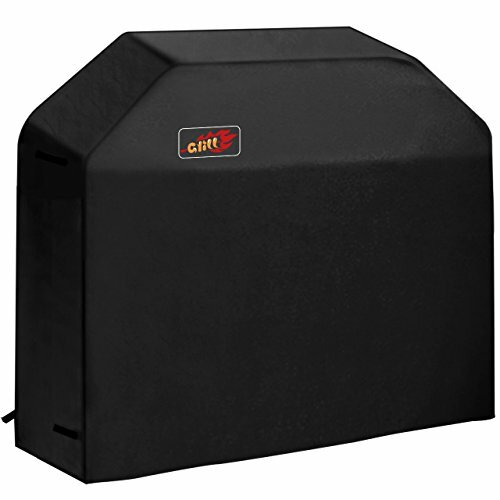 Ultra-heavy duty grill cover is our toughest, most-dependable, and highest-performing against damage from the elements. Designed to fit grills with 3 to 4 burners, and between 53-inches and 62-inches wide. 600D x 300D polyester Rip-Stop material with PE coating. Convenient side closure straps keep cover securely fastened. You just bought the perfect grill, and protecting it is of the utmost importance. You want it to be in your backyard for countless barbecues, so you know that buying a good cover is essential. 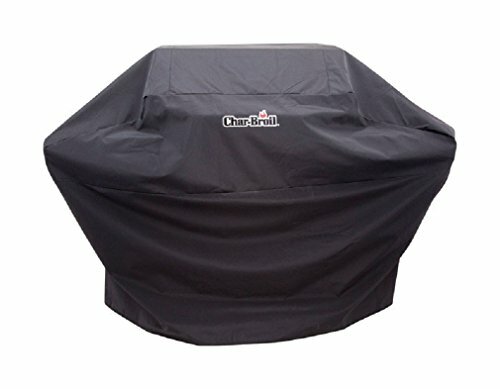 This is the perfect time to buy the Char-Griller Grill cover. Designed to protect your BBQ grill with a custom fit cover that is made from polyester and a pvc lining to help fight the elements. 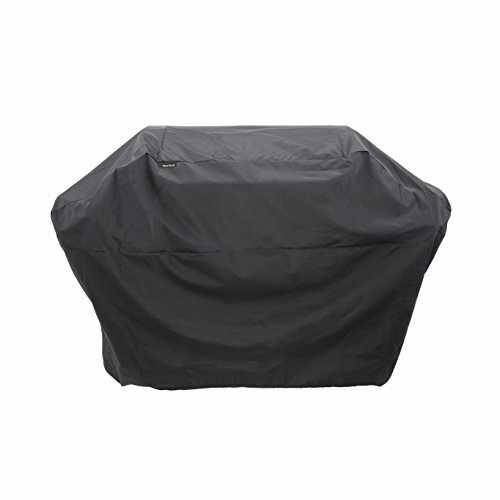 With this cover you will be extending the grill's lifetime, protecting the grill from sun, rain, birds etc. If you want your grill to last, invest in a great cover like this one. Designed to fit most 4-burner models, this all-season cover protects your grill from the elements with its water-resistant durable vinyl shield. 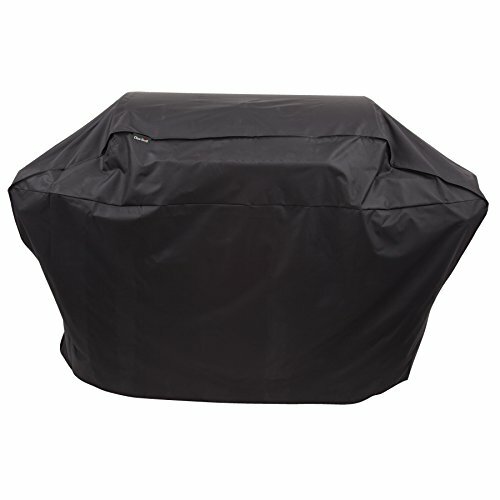 The cover is designed with heavy duty nylon lined vinyl material and is a great way to protect your grill from the elements and is a full-length cover with nylon straps for securing it around the base of the grill. Just slip it on and fasten it up, and you'll keep grilling for the long-haul. 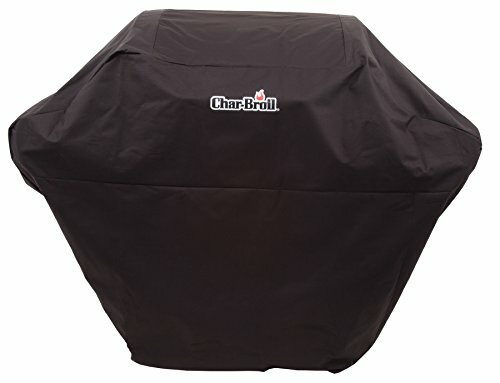 The Char-Broil 5+ Burner All Season Grill Cover is a heavy-duty grill cover which offers premium grill protection. 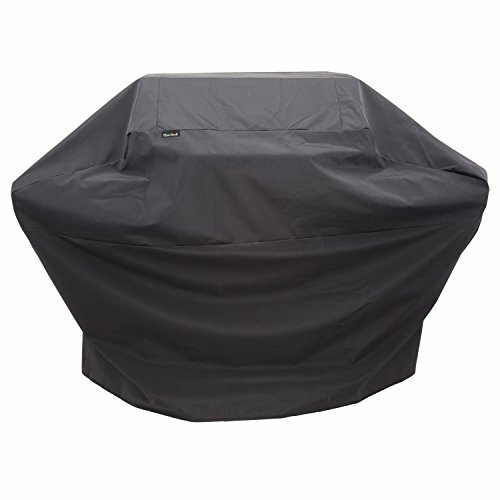 18mil polyester fabric combined with a rain water protective liner shield your grill from the elements, and adjustable side-straps are longer, delivering a more secure fit. Features UV protection for fade resistance and sealed seams for water resistance. Designed to fit 5,6 or 7 Burner Gas Grills, X-Large Combo Grills, Charcoal Grills and smokers up to 72 inches wide. Measures 72-inches W x 42-inches H x 24-inches D. Universal cover, suitable for use with CHAR-BROIL, WEBER, CHAR-GRILLER, BROIL KING, NEXGRILL, KITCHENAID, EXPERT GRILL & OTHER BRAND GRILLS. 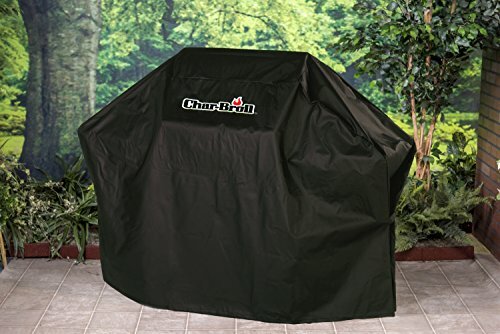 The Char-Broil 5+ Burner Ripstop Grill Cover is an ultra-premium heavy-duty grill cover which offers best-in-class grill protection. 24mil polyester fabric is combined with a PE interior coating, shielding your grill and offering ultimate protection from the elements. The Ripstop series of grill and smoker covers from Char-Broil are up to 7x stronger than most covers in the market, and feature a 5 Year Tear-Free Warranty. Longer, adjustable side-straps help deliver a more secure fit, keeping the grill cover in place during high winds and storms. Ripstop covers include UV protection for fade resistance and sealed seams for water resistance, to help keep moisture out. 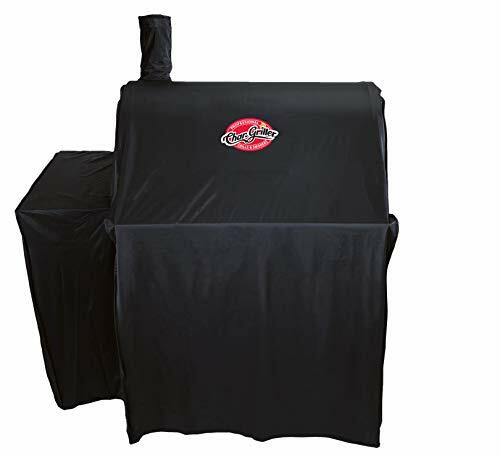 Designed to fit 5,6 or 7 Burner Gas Grills, X-Large Combo Grills, Charcoal Grills and smokers up to 72 inches wide Measures 72-inches W x 42-inches H x 24-inches D. Universal cover, suitable for use with CHAR-BROIL, WEBER, CHAR-GRILLER, BROIL KING, NEXGRILL, KITCHENAID, EXPERT GRILL & OTHER BRAND GRILLS. 5 Year Tear-Free Warranty. 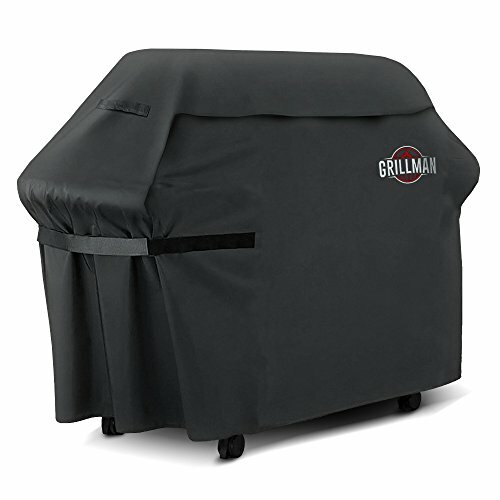 Heavy-duty grill cover protects your grill against damage from the elements. Designed to fit grills with 5 or more burner, up to 72-inches in width. 300D polyester material with durable PVC outer coating. Convenient side closure straps keep cover securely fastened. Shopping Results for "Charbroil Cover"